Why be restricted to just one conservatory style? 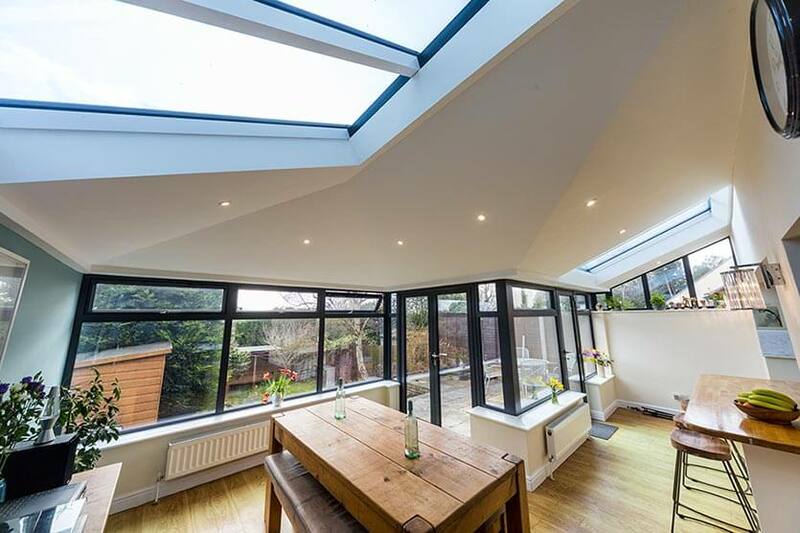 With a P-Shaped conservatory you can create a large open extension of your home, perfect to create two separate areas. 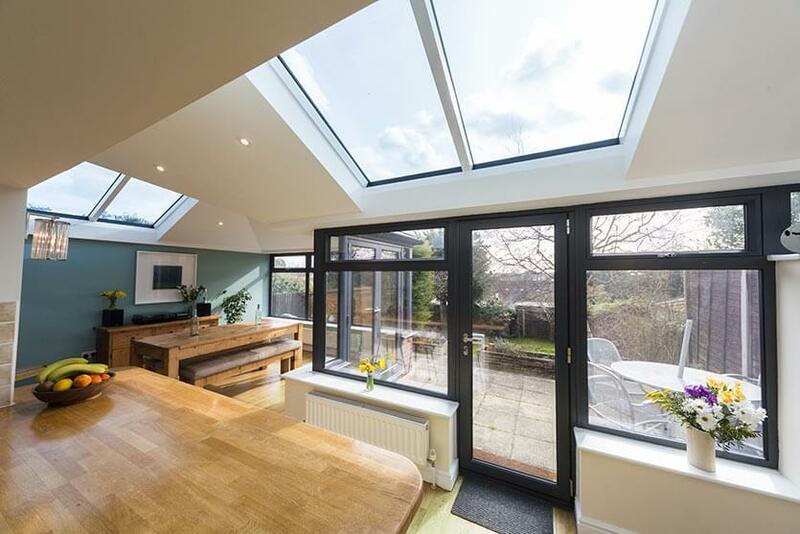 These spacious designs are perfect for larger and detached homes as can become a true extension. They can suit any style of home as can be made to look as traditional or modern as you like with a choice of colours and frame materials. We provide design drawings free of charge unlike architects so you can see your new conservatory before it comes to life. P-Shaped conservatories combine the long and rectangular Lean To style with a three or five faceted rounded Victorian style. You can enjoy the best of both these beautiful and functional styles to make the most of your space. Whatever you need the extra space for, a P-Shaped conservatory is the best way to maximise your space for your family. A popular choice is to have the Lean To section as a large dining area and the rounded part as a lounge. There are so many possibilities for your P-Shaped conservatory. 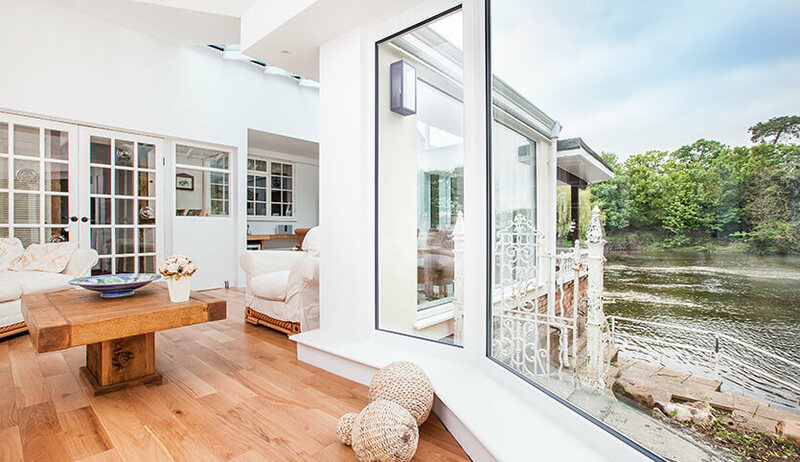 If you have two rear rooms in your home they could become connected or by knocking through your home could become open-plan. The extra space you gain could be extremely beneficial to your family and how you use your home. Our conservatories, as well as extending your space, provide a room that is comfortable to use all year round. With energy efficient glazing and insulating frames, you will never need to abandon your new conservatory. Our modern and stylish P-Shaped Conservatories are available in uPVC or aluminium to allow you to choose the best material to suit your home. 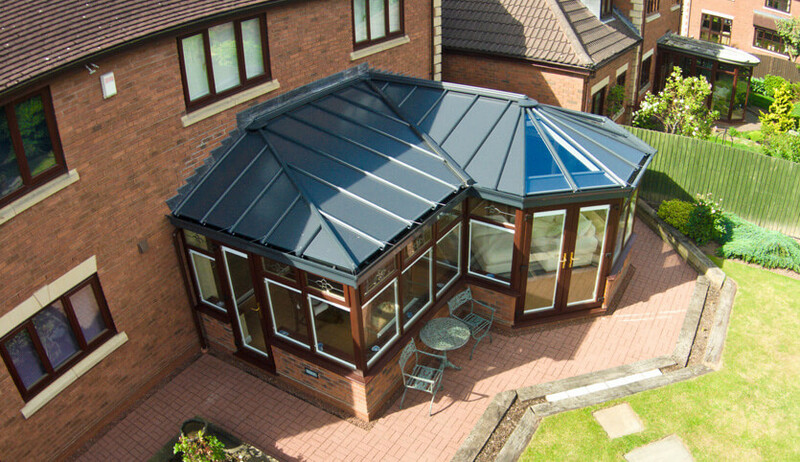 Made with lightweight aluminium to create P-Shaped Conservatories with stunning sight-lines.